If there is a property which sets solid surfaces apart from other materials, it is certainly the possibility of making unnoticeable joins. With this as a starting point and those who are aware of the importance of this property, at KRION®, the new generation solid surface, we strive to improve the material as much as possible so that joins between two pieces are unnoticeable, as if they were one piece. To do so, KRION® adhesive is as important as the skill of the transformer when handling this material. 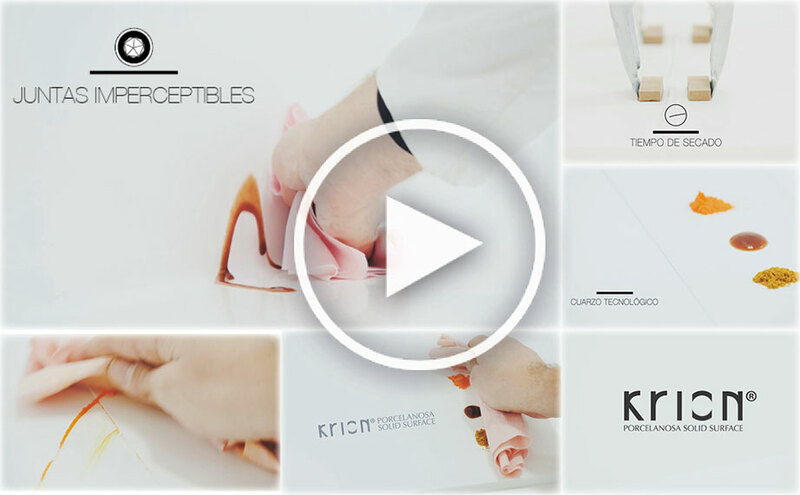 In this video we can appreciate the necessary steps for attaching two pieces with an unnoticeable join: a good cut, correct cleaning, KRION® adhesive, pressure and sanding. We can also view comparisons of cleaning joins in different materials such as ceramic pieces and technological quartz. To make designs from a single piece, KRION®, the Solid Surface from PORCELANOSA is the solution.